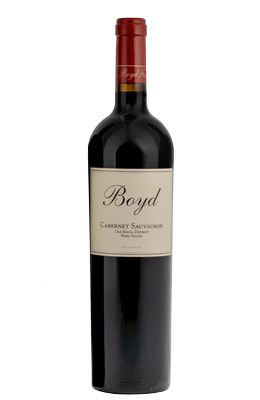 This amazing Napa Valley Cabernet Sauvignon comes from the exquisite MOULDS FAMILY VINEYARDS here in the Oak Knoll District, known for the Moulds’ meticulous attention to detail at every stage in the vineyard. This extraordinary Napa Valley Cabernet Sauvignon truly is larger than life! Luscious, bold and rich with flavors of exotic spices, this wine drinks like a contagious laugh that lingers with hints of dancing violets and a silky finish. This 100% Moulds Family Vineyards Cabernet Sauvignon is aged 22 months in 100% new French Oak barrels.